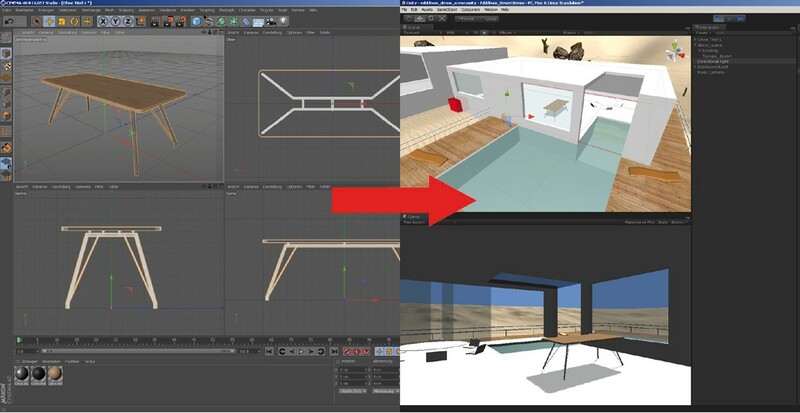 How to use my Revit, Max, Maya, Cinema4D and other 3D files with edddison. The best way is to use Unity3D which works with edddison. There is the option to import various types of files into Unity. Unity can work with exported file formats such as .fbx or .obj or proprietary 3D application files, such as .max or .blend. For more information about file formats and advantages or disadvanteges of different formats, check out the Unity documentation. If your 3D app is not in the list above, don’t worry, you still have the possibilty to import your 3D data in .fbx or any other exchange format. See here to find a guide for .fbx import. General info about the basic controls and how to import models.